Media and Contents: Soft cover, 49 pages of text plus, 69 B&W photos, four color photos and two color profiles. Price: Available world-wide from Start-Verlag - price varies depending on manner of payment and destination. Available in the US from Squadron Mail Order - USD$16.96. Advantages: German and English text in parallel columns. Extensive collection of photographs not previously published. Recommendation: Highly recommended for Luftwaffe enthusiasts. 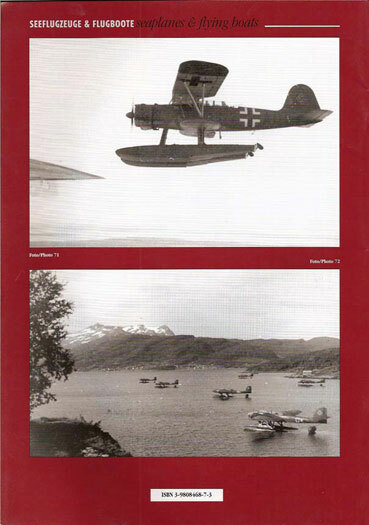 The Luftwaffe In Focus series is clearly a periodical intended for those with a serious interest in the Luftwaffe during World War Two. As with previous editions, this edition presents one or more unique pictures of each functional type of aircraft flown by the Luftwaffe. This runs from courier and training aircraft, to transports, to fighters and to bombers. There are also sections dealing with pilots and even crashes. But, in each edition there is a central article that just catches one’s attention. In Edition 7 the central article, in my opinion, is “The ‘Snake’ Stukas of Sturzkamph Geshwader 2”. The issues surrounding these Stukas are the subjects of many post at not only HyperScale, but at other forums as well. What color were the snakes? What was the correct code carried by the aircraft? What paint was used for the sand color? While the author of the article does not answer all the questions, he addresses many of them head-on. There is enough information presented, however, so that one can make a reasonably accurate model, if that is what one wishes. There is also information regarding, what I believe to be, a previously unknown color used on the rudder. Don’t worry; you can make the adjustment to your finished model. There are also pictures in this issue that make you stop and think and examine them again and again. For example, there is a picture of a Do 17 R-4 (reconnaissance version of the M series) that crashed into the roof of a building. There are two very clear views of the top surface of this aircraft. But for the life of me, I cannot see or determine that there is a splinter camouflage pattern. But oddly, there are two dark panels extending across the wing-tops where the engines are located. The aircraft carries the small style wing-top cross. Very faded camouflage? Perhaps. But look for yourself. There is another picture of a crashed Ju 88C. The notes indicate that the aircraft was (factory?) painted in winter white and when the spring came it received a temporary camouflage of green tones. Now are the notes in the caption correct? It seems a reversal of normal procedures. Does it look green with white overspray or white with green overspray? The picture is of excellent quality and this aircraft would be a great subject for modeling. 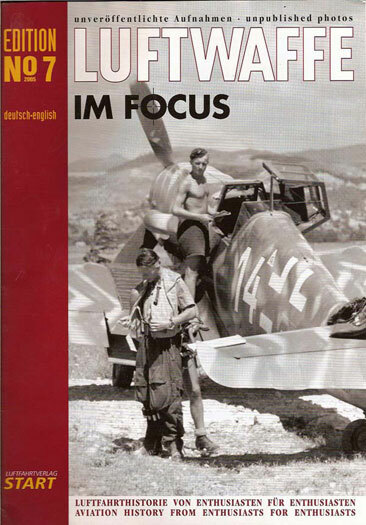 As I have noted previously, for those modelers and historians interested in the Luftwaffe, each edition of Luftwaffe in Focus has something of interest, and for many, everything will be of interest. I recommend this highly, as I do not believe it will disappoint. But they will disappear, as they seem to quickly go out of print.